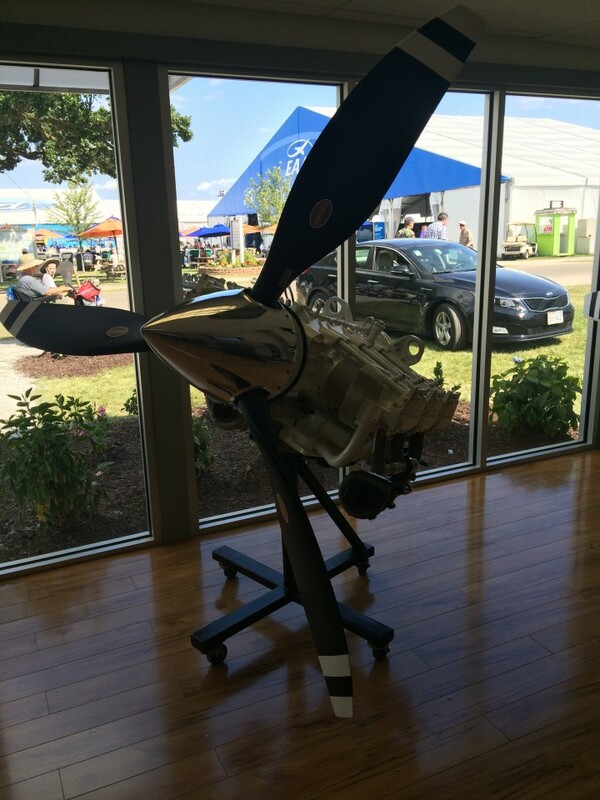 When you’re cruising through the air, have you ever wondered how your airplane propeller system works? Tough as it may be to understand now, there was a time when powered flight was considered as suspect and impossible as magic. But the concerted efforts of scientists and engineers and innovators like the Wright Brothers soon demonstrated to the public that flight could not only be imagined, but also put into practice. As we discussed in our post about the history of propeller design, early airplane propellers operated more like screws. It took the ingenuity of the Wright Brothers to develop a propeller that acted not like a screw but like a twisted airplane wing. But instead of creating a high/low air pressure differential to generate lift along a vertical axis, a propeller creates a pressure differential to generate forward thrust along a horizontal axis. Think about it this way: when you toss a paper airplane it will generate a small bit of lift before eventually settling on the ground – provided you folded the paper right, of course! The paper plane took flight because the design of the wing worked in tandem with the force that you applied to it (your throwing motion). Now imagine if you were able to catch the plane in mid-flight and quickly re-throw it to extend its travel. Then re-throw it again. And again. And again, a few thousand times a minute. That’s essentially what happens in a propeller system. The rotating blades serve as an infinite series of moving wings that continually force air rearward. Things get a little more complicated as we move beyond that basic explanation of how propeller systems work. There are many factors that determine how effective a propeller system will be, including the number of propeller blades, the blade pitch, engine torque, and the speed of a propeller’s revolutions. Understanding these variables (and a number of others) allow aeronautical engineers to design propeller systems uniquely suited to different applications. As you would imagine, selecting the right propeller is a critical step in building a safe, efficient aircraft. Find the right propeller for your aircraft.